Hello, my name is Joseph. 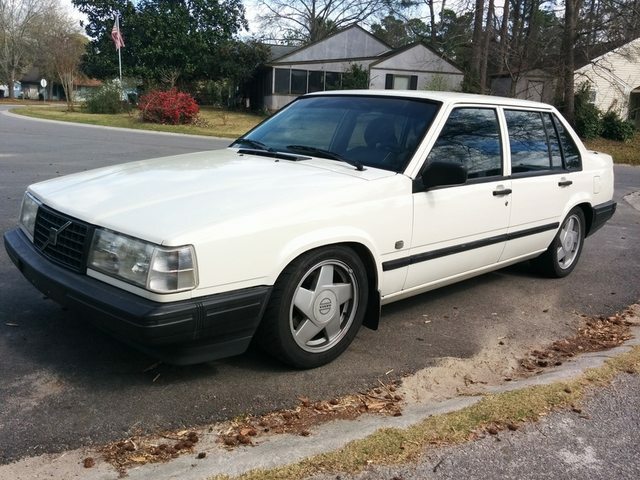 I've had quite a few volvos over the last few years; sold a couple, and ruined a couple if I'm honest. Some things I've learned are that I'm not personally inclined enough to do custom work involving fabricating, solving problems, etc. However, I have much better luck when I stick to bolt ons and direct swaps. It's just something I have to be honest with myself about. 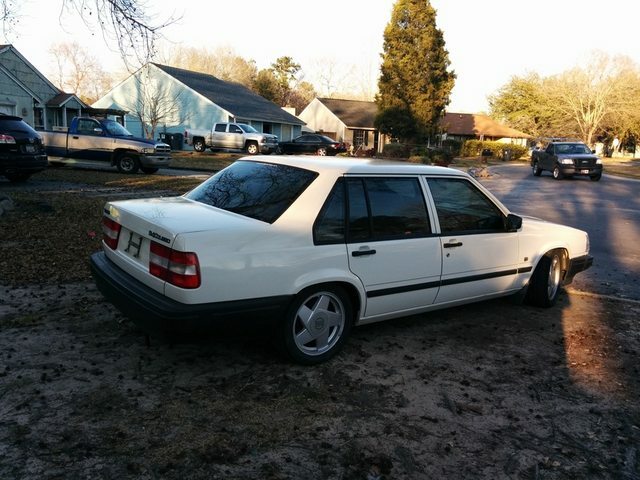 I recently acquired a nice white 1995 940 turbo sedan, with an m47. It's already had a lot done to it between the last two previous owners. Lots of headlight work, front suspension, m47 swap, among other things. 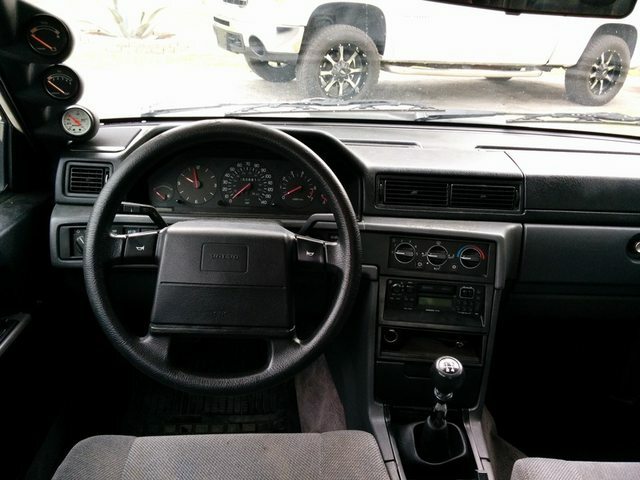 The interior is dark colored cloth and the air conditioning works well, both things I was looking for in a car. Most importantly, the car seat fits in the back to carry our new little one around. 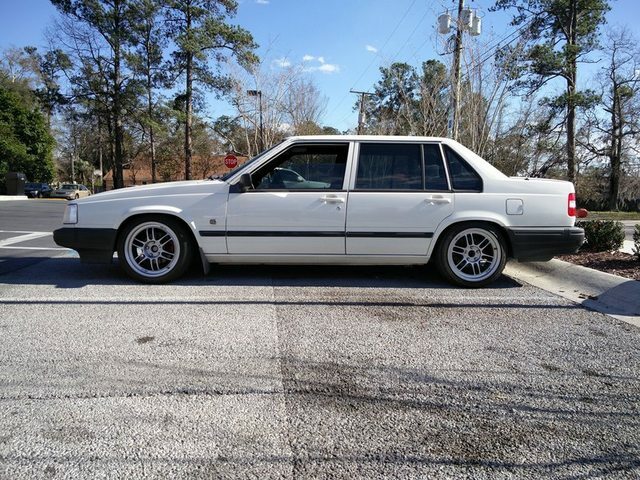 My goal for this car and this project thread are just to continue with tasteful mods, that will continue to keep the car reliable and mildly fun. Maintenance *hopefully* remains a priority as I'd love to hold on to this one for a while to come. The first thing that bothered me was a clicking noise I heard on acceleration. 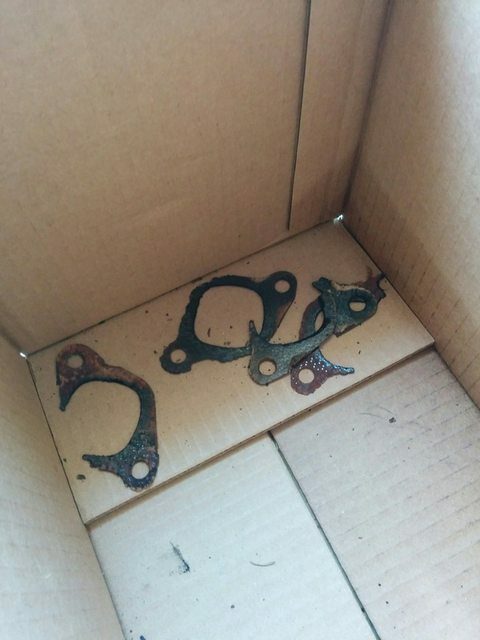 I determined it was the exhaust manifold gaskets. This job scared me as I did not want to snap an exhaust stud. Being very patient and using p'blaster, they all came out easily enough. 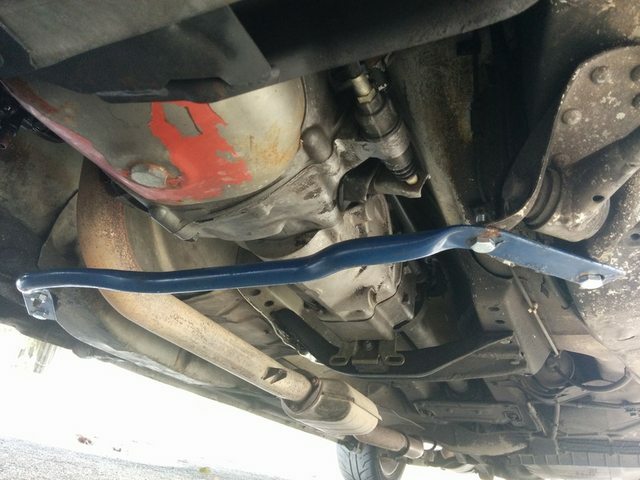 I didn't want to disturb anything else so was very careful pulling the manifold away. The old gaskets literally crumbled to the touch. 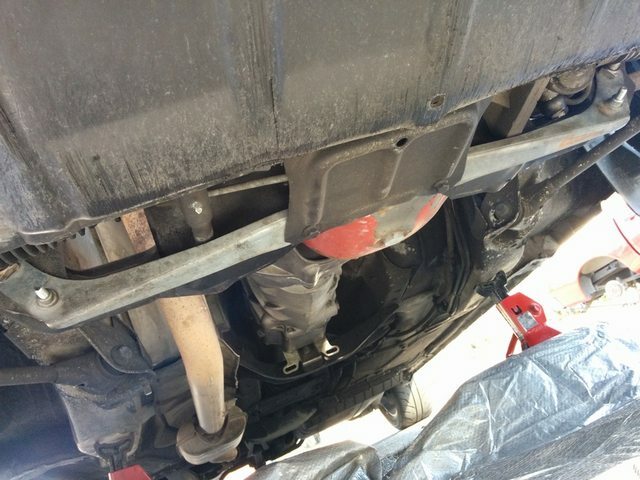 Let me tell you just how terrible the bracket holding the manifold to the block is to get to. And twice that difficult to get back on (I only got one of the two bolts back in holding that bracket to the block). But I'm so glad the job is more or less done. No more clicking noise; acceleration is nice and quiet. I also picked up and installed some 960 braces to reinforce the control arm brackets. This was a nice easy install, even though where the driver side bolts to was slightly bent. Lastly, I noticed the engine and transmission mounts are in poor shape. I have an m47 mount sitting around but have to order the engine mounts. 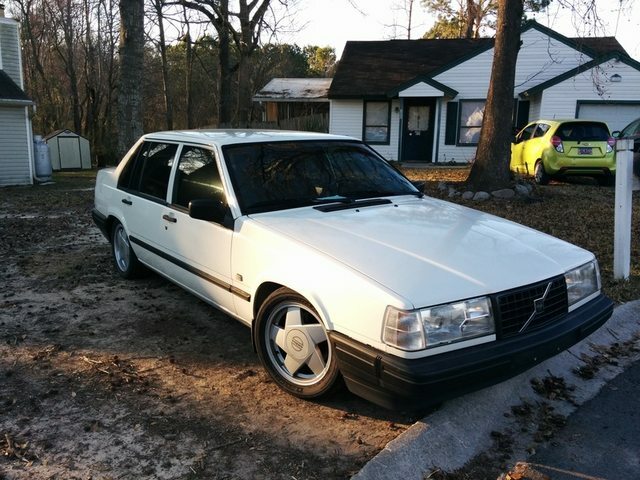 Is it worthwhile to convert to the older 740 style mounts at this time? I know the price difference on the rubber portion of the mount would nearly pay for the old style brackets if there's any benefit. Last edited by soclosenotnear; 07-15-2017 at 09:52 PM.. Happy to see that the car stayed with a board member. 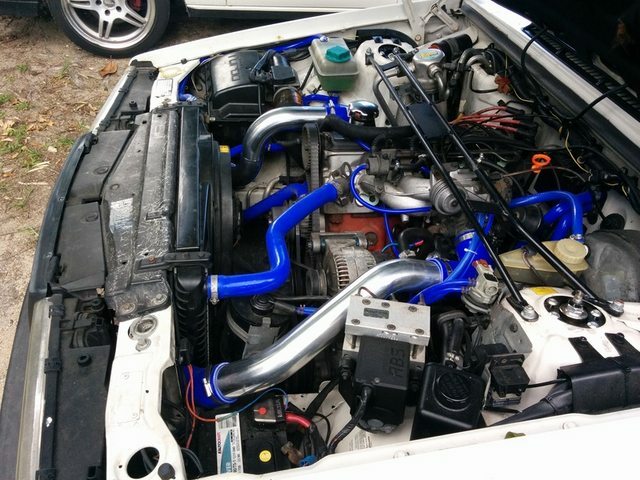 Looks like there's a lot of worthwhile modifications that have given you a good head start. I like the solid mounts in my car, personally. I'd buy them again. Yeah go with the solid mounds man. Looks good I can't wait to see this car with some nicer wheels. Also I'd paint the pan so it doesn't rust out. I had to replace a pan because it rusted through because of lack of paint. 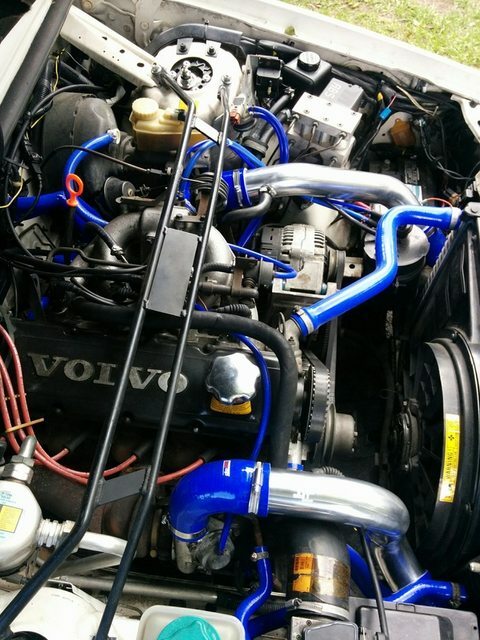 1991 Volvo 940se sedan m90 swapped, 17x10 oz fittistars, Bilsteins. no one saw me with my little umbrella and sandpaper though. I was happy to get it. 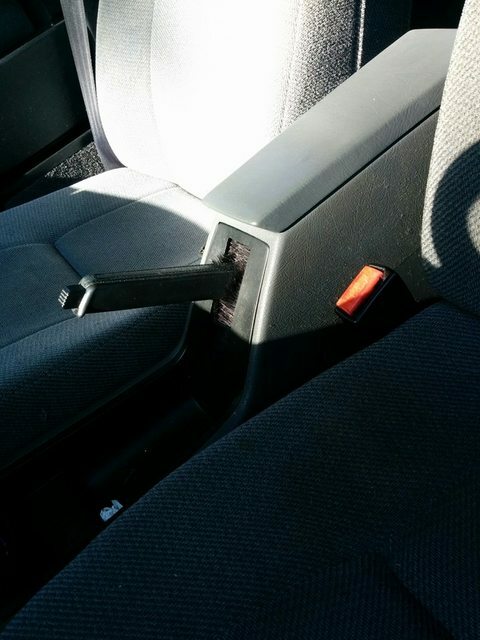 And yes, this car has mostly had everything gone through. I'm leaning toward buying the old style mounts. 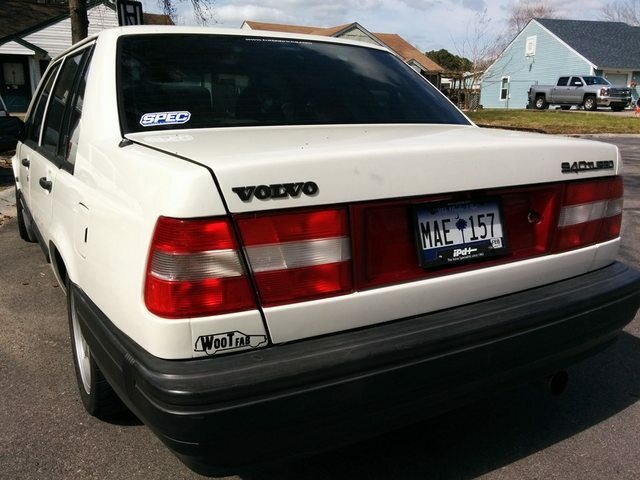 I had some on my second volvo, a factory m46 '91 744 turbo. It's been a while, and at the time, I didn't know there was anything different, so I can't really compare the two different styles. Or, are you talking about new style solid mounts? Like ipd sells? Short term plans include figuring out new mounts, as much chassis bracing as I can buy, and an ipd turbo cam and gear I've already got. Long term plans are definitely adjustable rear perches/springs, nice shocks (something shorter? ), and wheels. The rear setup, as of now, is just cut springs, and sits much higher than the front. I have enkei rpf1's and adapters that I could throw on if I could get the energy to peel some old plastidip off. Last edited by soclosenotnear; 03-09-2016 at 01:44 PM.. I bought them originally for my civic, but didn't care for them on that car. Here they were on my girlfriend's '90 745, before they were plastidipped pink. I've had them on my 242 also. 17x8 and 17x9 +35 w/ 25mm adapters. Last edited by soclosenotnear; 07-15-2017 at 09:57 PM..
Old style mounts, definitely. I forget the years they came on but I got mine from a JY and got some new rubber for them. As for the shocks, if you want to go low you'll be wanting short struts. 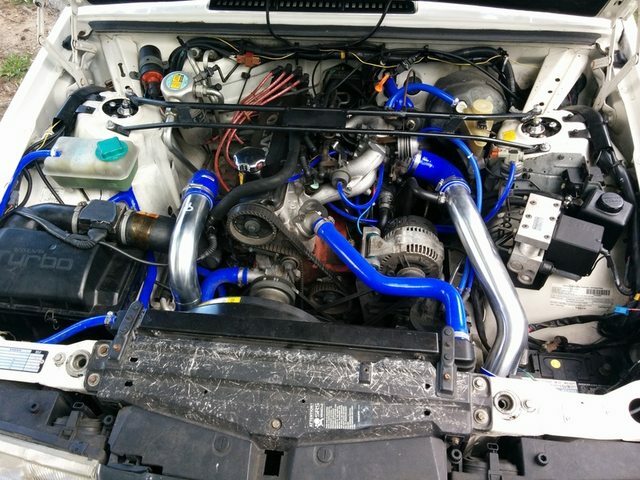 I'm kicking myself now for running stock height housings. The front is already taken care of, so yeah, i need to find a shorter shock for the rear. I bet adjustable perches and springs, with koni sports would make me happy with height and give me enough travel. That's down the line at the moment right now though. I need to post a wanted ad for some old mounts if I'm gonna do it. I think the last set I saw was around a bill. Hopefully I can find a a little better deal to justify not just buying new rubber mounts for what I have. So, running some errands with the family yesterday, I noticed my volt meter seeming to drop out every time I came to an idle. 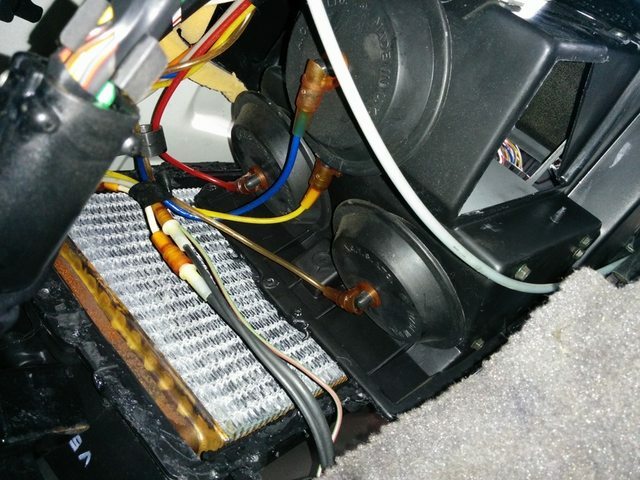 My a/c started acting up and the SRS light came on. Eventually it just dropped to a steady ten or so volts. With more driving, ended up around 8-9v. I got everyone home and took her up to o'reilly's. They tested the alternator as having a bad voltage regulator. 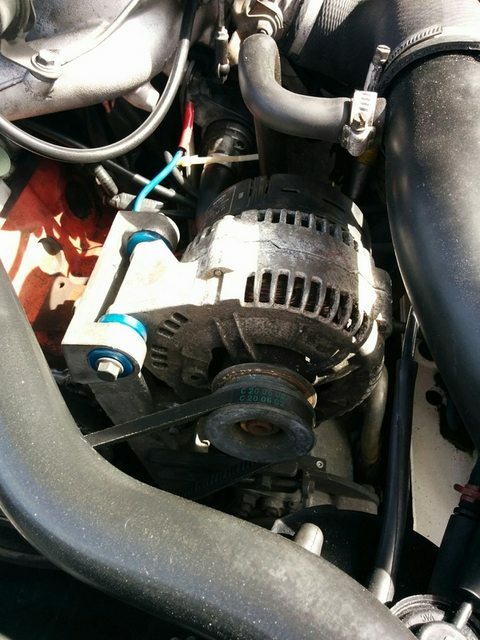 I had a spare alternator on an engine in the garage so I opted for that one. 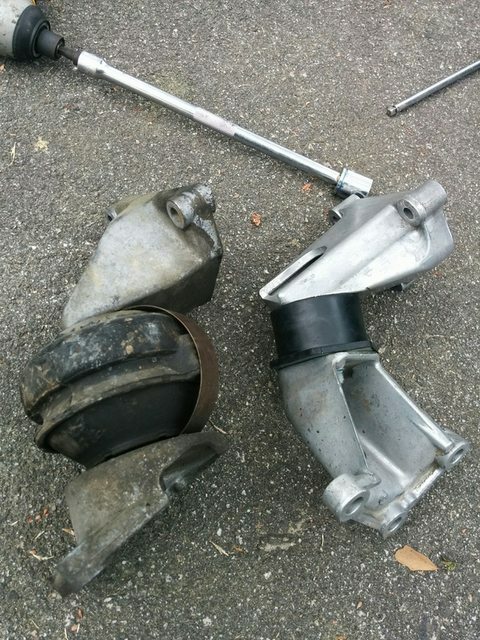 Once I got both pulled, I noticed the tensioner bracket had snapped. 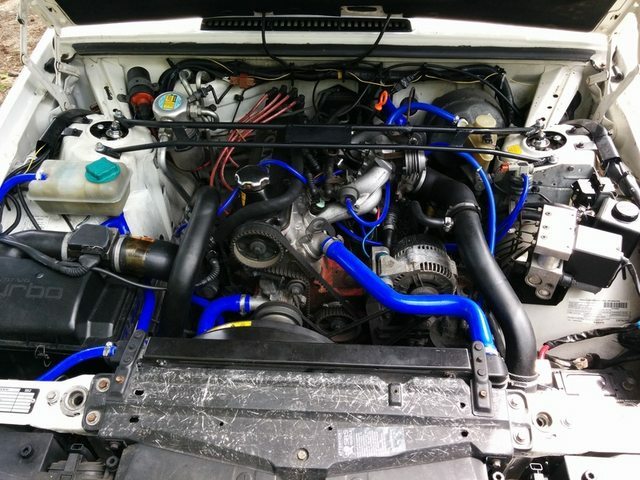 My other engine was last setup for a 240 so I didn't have another bracket laying around. I decided to test my recently acquired wire feed welder that I picked up from my pawn shop. I won't show you guys what it ended up looking like, but I couldn't bend it with a couple sets of pliers. Thinking the broken tensioner bracket could have caused all my problems, I put the original back on. No dice and a wasted twenty or so minutes. 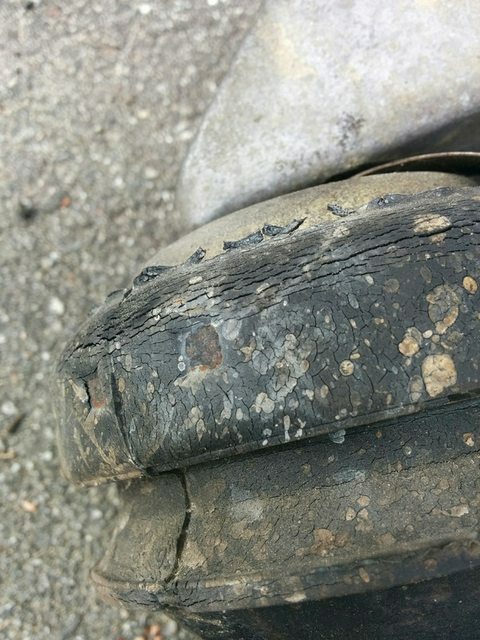 Put the spare on, and all is well, thank goodness. And crawled under the car to add some more bracing. Might have it on upside down ? I bought some old style 740 engine mount brackets. Now I'm waiting on an ipd order for the rubber 164 mounts I got for them. Also, a cherry upper brace is on its way, and I think that covers all the chassis braces I've seen. After that, and an ipd cam eventually, hopefully just lots of driving ensues. Last edited by soclosenotnear; 07-15-2017 at 10:03 PM..
You've put it on wrong turn it over. I thought so too when looking at it in the picture, but I just double checked. It only goes on one way. I've only ever had the ipd brace before this one. 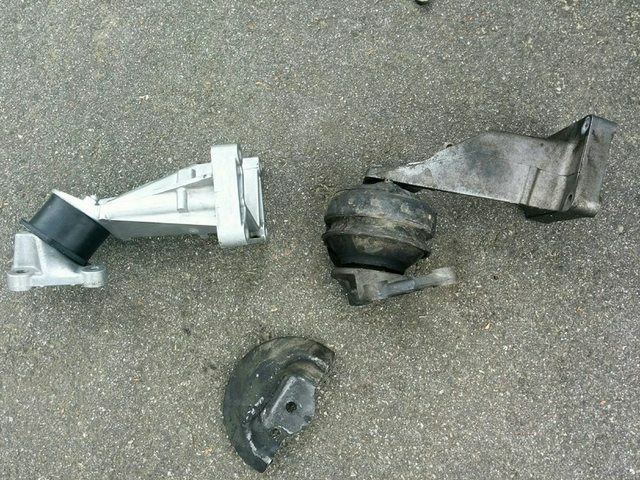 Today, I fought and conquered new engine and transmission mounts. I decided to upgrade to the old (pre-87?) style 740 mount brackets. I went with 164 rubber mounts. Everything came together pretty nicely and boy did the car need new rubber. Now, the transmission mount wasn't so cooperative. It was something I had laying around that I had bought from ipd long ago for another m47. Really just poor fit and quality, but got it on there, and it's much better than the cracked and oil soaked old one. Last edited by soclosenotnear; 07-15-2017 at 10:07 PM..
nice work! 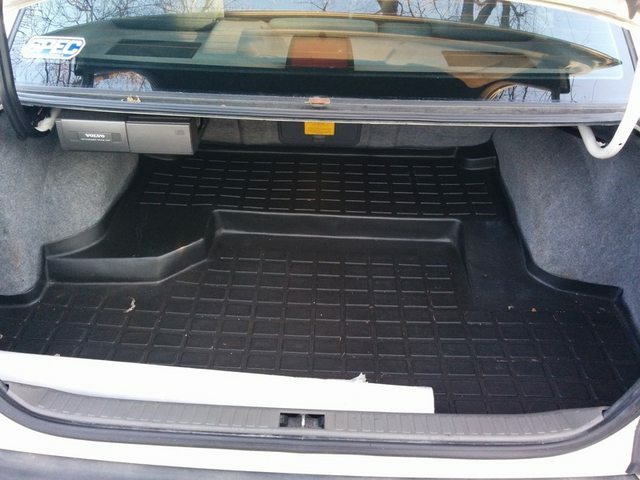 clean car as well. So, I started getting the faint smell of coolant with the heat on. Loss of coolant followed. And finally, damp carpets told all. 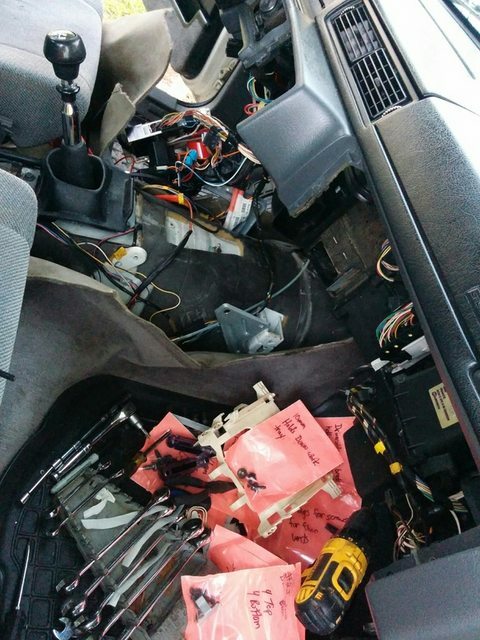 I had to do the dreaded heater core. 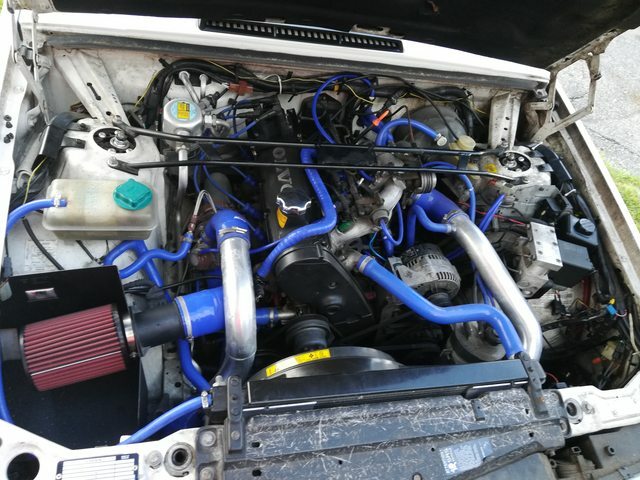 This was my first endeavor with a heater core. I researched and found the copper cores to be best, but couldn't find any, without buying from the stealership. I went with an all aluminum spectra core. It took me and a friend about eight hours total, split between two days, in a weeks time. It was a pain, for certain. The new core was very difficult to get through far enough to put the hoses on, but it seems like they sealed. I used these directions to get through it. It was very thorough. We took our time, followed the directions to the t, and labeled everything. It worked out for the most part. Everything went back together except this. I had these left over; the 13 corresponds to the step number in the above directions. They take a star bit. What did I miss? Last edited by soclosenotnear; 07-15-2017 at 10:14 PM.. 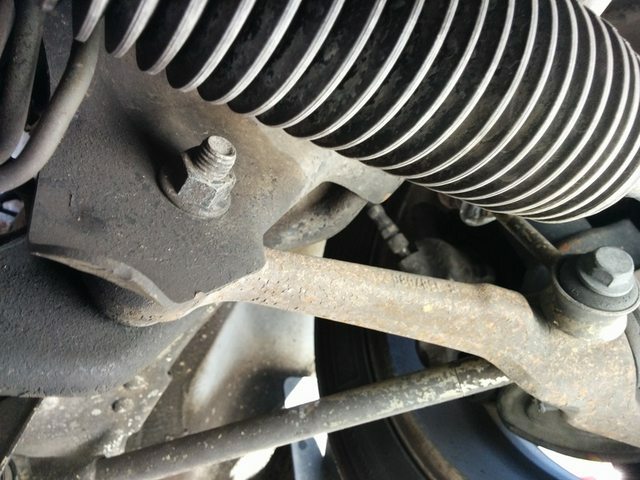 When I bought the car, the expansion tank hose crumbled and burst. I cut it, and shoved the new end on... 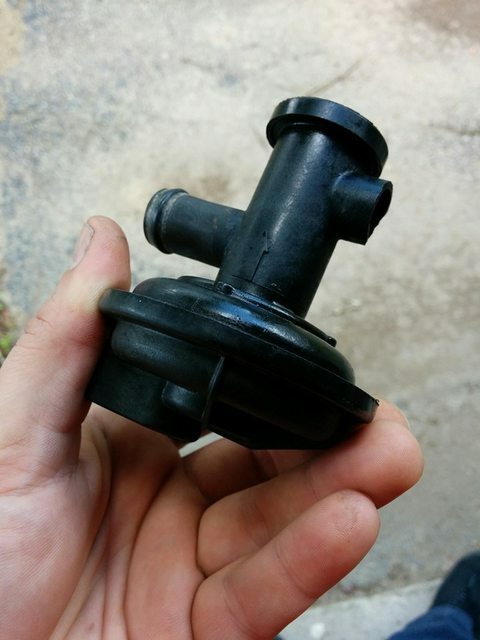 Since I needed this already, and wanted to do the heater core hoses also, I started looking into silicone hose sets. I found a set of tlao silicone hoses in blue from a group buy that happened a few years back. I picked up new vacuum lines also and went to town. 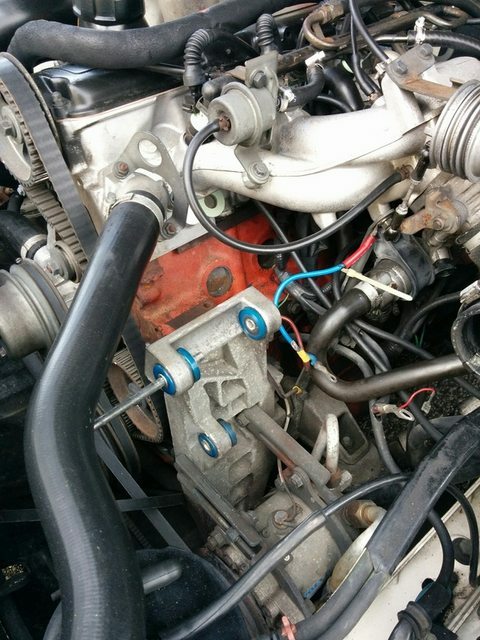 I replaced my engine coolant temp sensor at the same time, as well as the intake manifold gasket. Hopefully this fixes a sporadic high idle I'd get at times. I'm resetting the ecu right now, as I got a check engine light after finishing the heater core. The diagnostic box said "no fault found", so we'll see if it comes back on in a few hours. I also put the cherry upper brace on, and an old school oil cap. Last edited by soclosenotnear; 07-15-2017 at 10:21 PM..
Engine coolant temp sensor didn't fix my problem. I drove the car probably 4 times with no issues, and on the way home tonight, it did it. I'm not sure where to look to next to fix the issue. Have you tried cleaning the idle control valve? "Sometimes you just have to play the role of a fool to fool the fool who thinks they are fooling you"
That's next on my list. 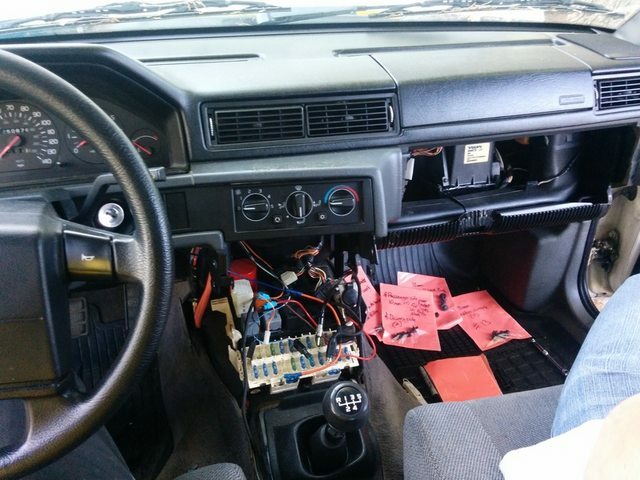 I replaced the radio noise suppression relay to no avail. Last edited by soclosenotnear; 04-24-2016 at 05:35 PM.. So, you know when you're driving with your old lady and your infant daughter, and then you glance down, and your temp gauge is pegged on the hot side. So you pull over, pop the hood and realize your coolant is missing. Then you look and you realize your heater control valve broke. 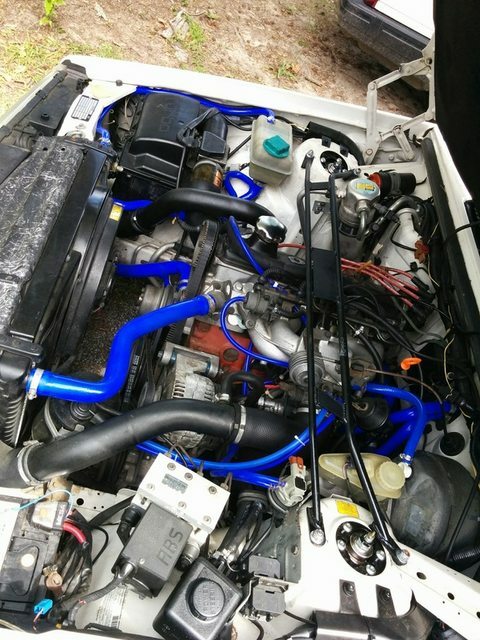 The same one you thought about replacing when you just did the heater core and hoses. So, after getting the girls home, I picked up a new one at the o'reilly's. The coolant cost twice as much as the part that needed replaced. 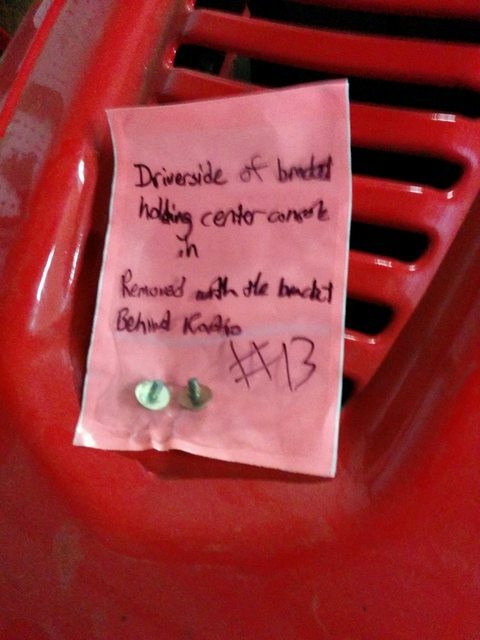 I then proceeded to fix it in A McDonald's parking lot. It wasn't too bad really, but frustrating when I knew I ought to have just grabbed one a week ago and replaced it at the same time. Last edited by soclosenotnear; 07-15-2017 at 10:19 PM.. 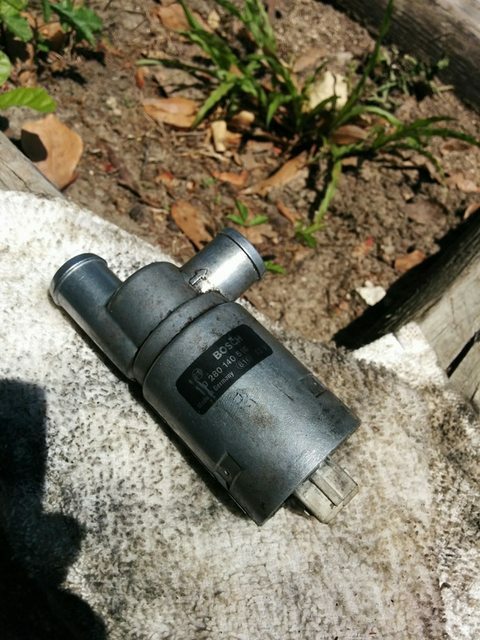 I cleaned my IAC valve in an attempt to fix my sporadic high idle. 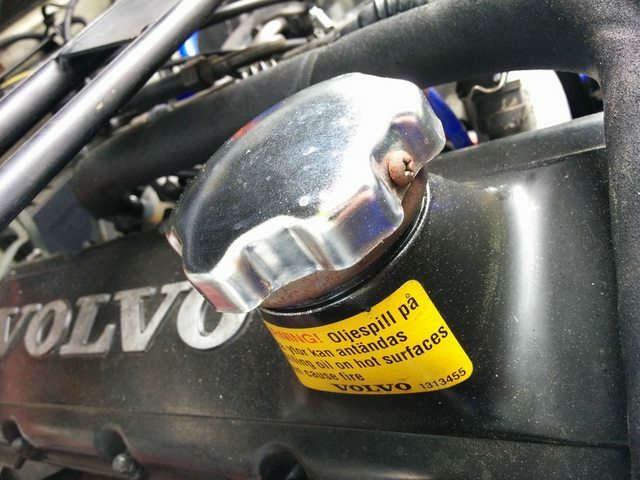 I used a 50/50 mix of wd-40 and throttle body cleaner, which I read on here is best. We'll see if there's any change over the next few days. I also tried to solve my only oil leak which was at or near the oil filter. It's the only place on the entire engine that leaks and I can smell it every time I shut off the car. I decided I thought it was the gasket between the relocator arm and the oil cooler sandwich plate. I read that the green gaskets are the best, which is what I bought. The one I pulled off, however, was black. Any thoughts or preferences on that one tricky gasket? I'll check in a few days if I have any seepage. EDIT::// seepage is an understatement. That little green gasket did not work for me. I proceeded to pour all of my oil all over my driveway. Went and bought the right gasket from the dealership which I should have done to begin with. And more oil. And more filter. Now I have to clean everything in that area all over again. Time to get dirty. Last edited by soclosenotnear; 07-15-2017 at 10:24 PM..
TB the new home of the internet special olympics. Try to recreate and see what happens, our crystall ball servers are currrently down. 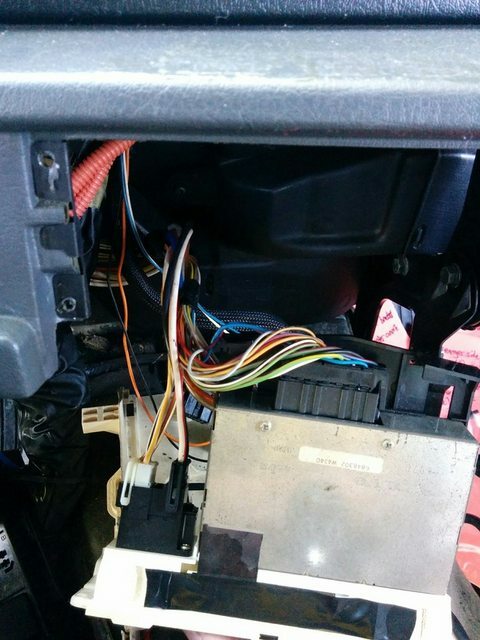 Regarding your high idle, if it's available to you, try swapping ECUs with one you know is good. 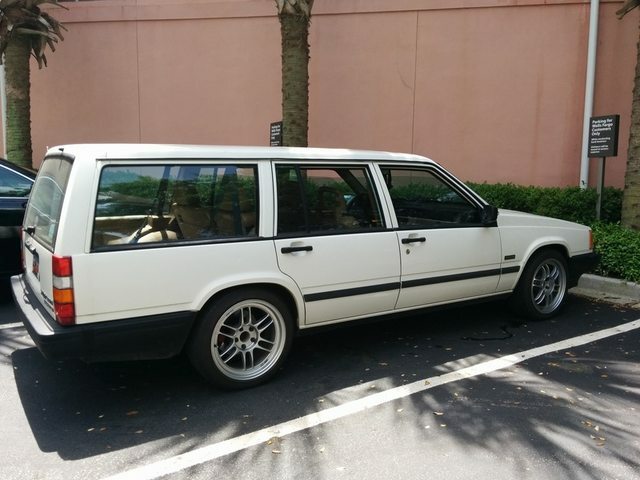 I had terrible idling issues (seeking, high idles and terrible running) for nearly a year, and it turned out that the aftermarket replacement ECU (I think the brand was "Reboota" or something) had a couple bad circuits in it. Tossed in an OE ECU and all the issues disappeared. That's my $.02. I posted in the tlao silicone hose group buy and a user randomly had a set in blue laying around unused that I snagged as quickly as possible. Blue wasn't my first choice but since I found that set, I bought everything else to match. I know about them. My pressure hoses needed replacing so I picked up a set of intercooler pipez from them. Just got them on today actually. I couldn't be happier with the fit and finish from them. I haven't got a spare computer around. Once I finish replacing the last bits of rubber (intake hose and idle hoses), and I can write off vacuum leaks, I'll start focusing elsewhere. Regarding the high idle, having my air con on keeps the idle around 1300 when it's in that mood. If I cut the AC off, it's back to bouncing to 2k rpms. How bizarre. 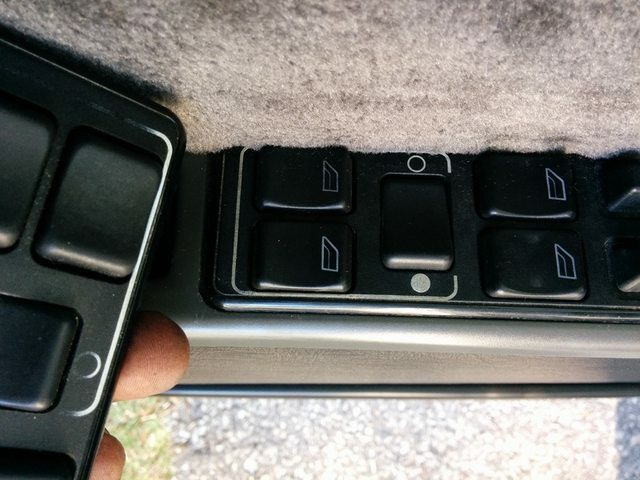 Also, now with more window switch lights. If anyone needs a grey cupholder armrest, $45 shipped? Last edited by soclosenotnear; 07-15-2017 at 10:31 PM..